You know what leads to competence? Practice. 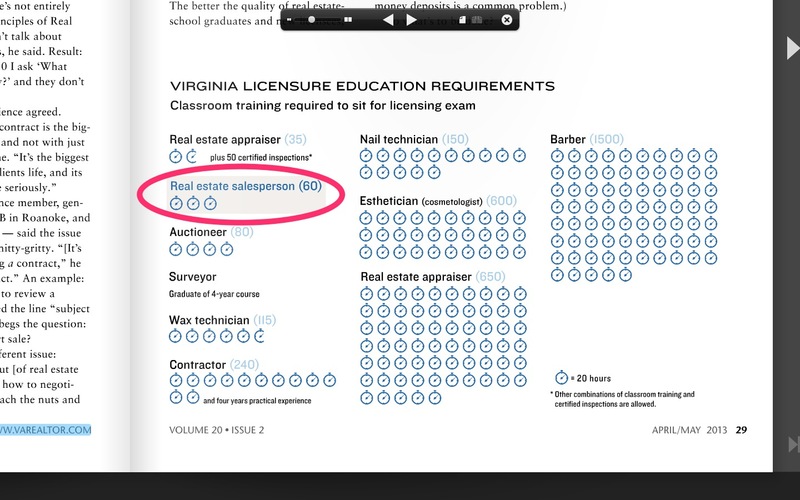 Note: Principles of Real Estate is the course that all new real estate licensees in the Commonwealth of Virginia must take in order to get licensed. The only true education (in anything, really) is experience. I’ve talked about this, and sat on committees (for *years* – at both national and state Realtor levels) about “real estate professionalism” – and have since resigned myself to the ineffectiveness of the political system with respect to this issue. The only reasonable solution is an apprenticeship program. More hours won’t solve this. To consumers: caveat emptor as there is no viable nor valid means by which to ascertain a real estate professional’s competence online without asking another competent professional his opinion of another. Excellent article. I could not agree more. Sheesh Barbers require more training than real estate agents and their mistakes will fix themselves in less than 30 days! I agree that an apprenticeship program would definitely help. Real estate appraisers have this type of arrangement. They get hands on training but cannot cough without a senior appraiser signing off on it. This helps to take the book education into the real world. Because the problem is that the licensing education is not based on the real world.